Callahan Supply is focused on customer satisfaction and excellent service! 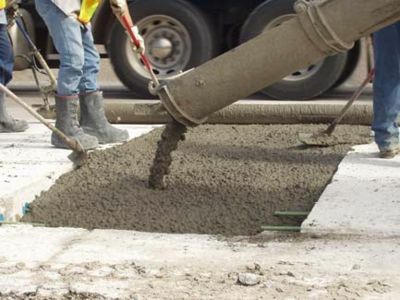 Concrete is a mixture of paste and aggregates (sand & rock). The paste, composed of cement and water, coats the surface of the aggregates and binds them together into a rock-like mass known as concrete. Aggregates account for 60 to 75 percent of the total volume of concrete and are divided into fine and coarse categories. The type and size of the aggregate mixture depends on the thickness and purpose of the final concrete product.